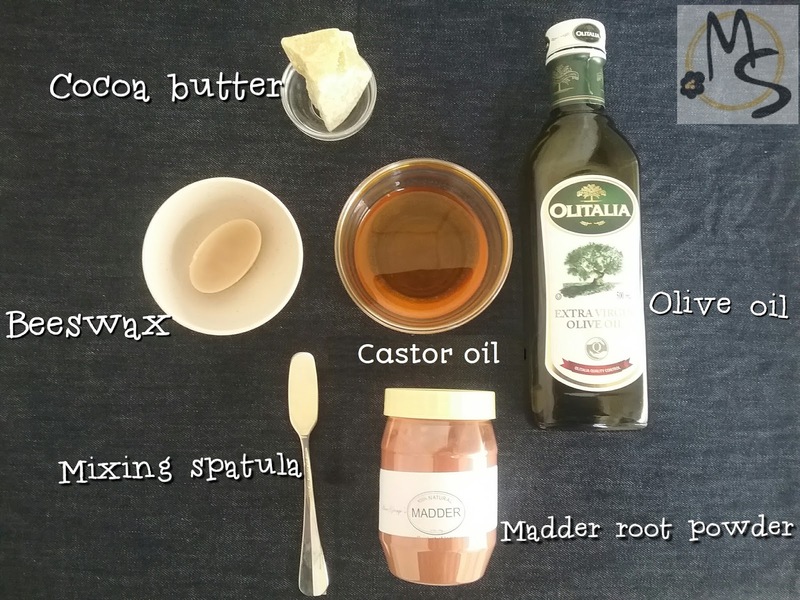 Melt Cocoa Butter & Beeswax in a double boiler. The beeswax decides the hardness of the lip balm. Too little will make the balm runny like a lotion. Too much beeswax will make the balm, a solid bar. Heat and stir them until both the beeswax and cocoa butter are mixed thoroughly. 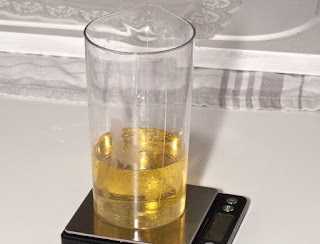 Measure & mix the oils. The oils act as a barrier trapping the moisture inside the lips. I have chosen olive and castor, but other oils like Almond, sunflower and jojoba can be substituted for olive oil. 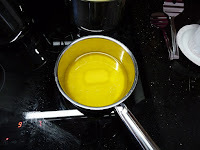 Remove the double boiler from heat and stir all the oils with the melted beeswax & Cocoa butter. Mix everything well until there is a smooth consistency. Use a mini hand mixture. 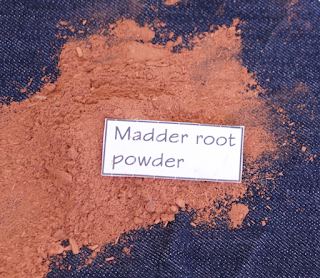 The madder root powder can be infused in castor oil or can be added when heating the beeswax and cocoa butter. 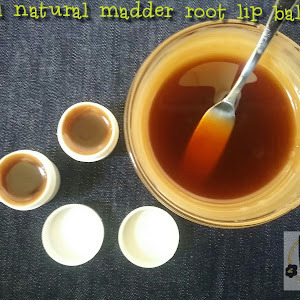 I added it after mixing all the ingredients.The madder root powder will give a red to brown tint to the balm. This is the common madder or Indian madder known as manjistha. It is extensively used in Ayurveda as a herbal medicine. 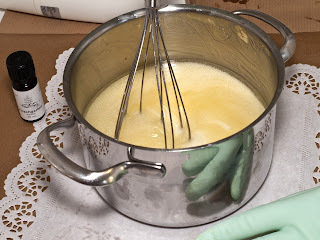 Add 1/8 tsp of glycerin and vitamin E and use the mini hand mixer to mix well. 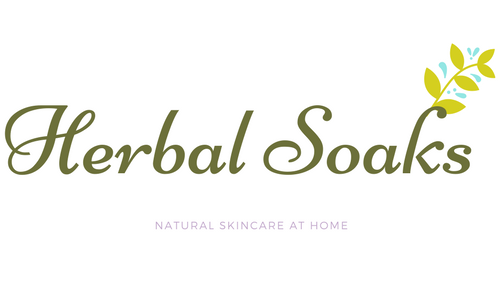 Glycerin acts a humectant and vitamin E is a powerful antioxidant. 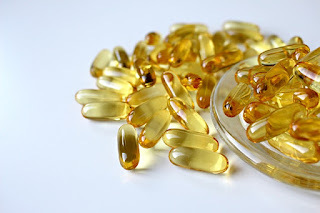 Vitamin E helps to improve skin elasticity and gives a supple look. I chose peppermint essential oil as the final addition in the mask. 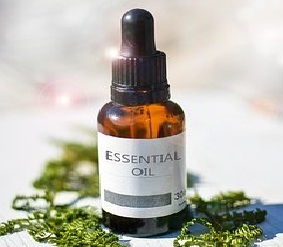 Any essential oil of your choice can be substituted.Some essential oils are strong and can irritate the skin. Choosing an essential oil is a personal choice and must be done after a thorough research. 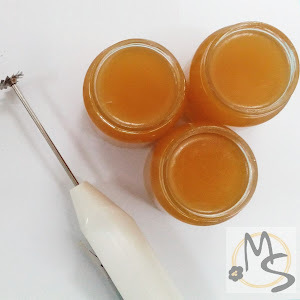 Transfer the balm to sterilized storage jars. Store them at room temperature. These balms do not have water in them eliminating the need of a preservative. 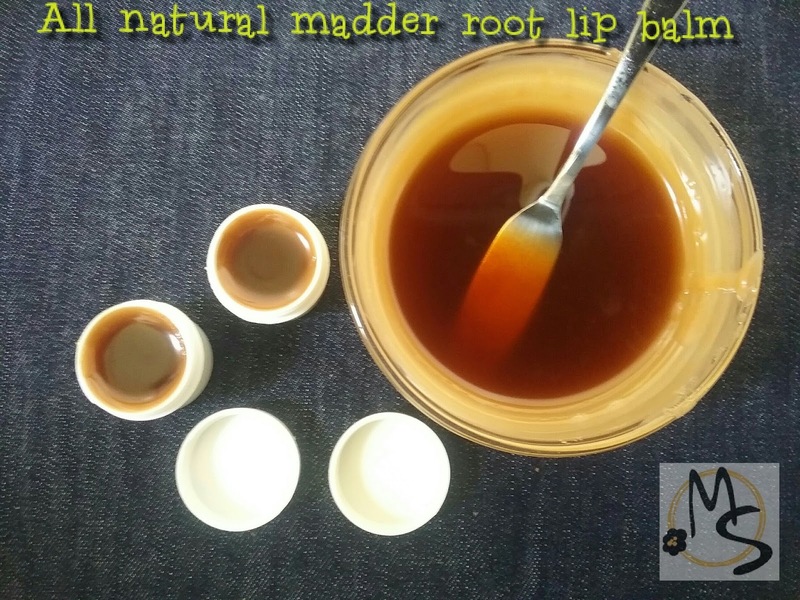 Shelf life of the balm will depend on the self life of the oils used and the beeswax. The few drops of vitamin E in the balm will increase the shelf life of the oils. Vitamin E heals & soothes the lips, giving them a youthful look.